AMD R9 Fury X Is Potentially The Fastest GPU in The World - How Fast Can Fiji XT Realistically Be ? AMD R9 Fury X Is Potentially The Fastest GPU in The World – How Fast Can Fiji XT Realistically Be ? Matt Skynner CVP and General Manager of AMD’s GPU and APU products touted the company’s upcoming flagship Fury X as the world’s fastest GPU. As he proclaimed today at the company’s Computex press conference that “HBM enables us to build the fastest GPU in the world” when referring to Fiji, reports Hardwareluxx . 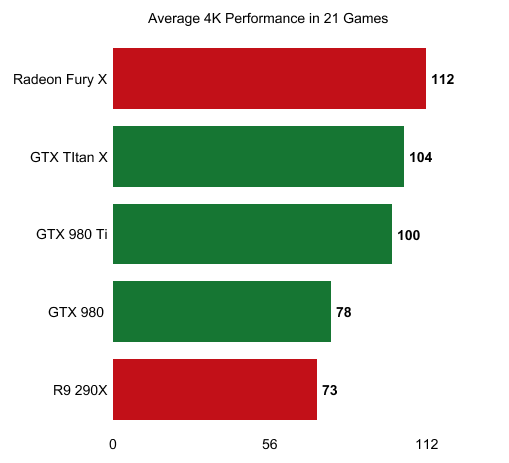 Interestingly Hardwareluxx reported yesterday that AMD’s upcoming Fiji XT powered flagship, dubbed Fury X, in its current state may not be as fast as Nvidia’s Titan X and GTX 980 Ti, due to some peculiarities around the immature nature of the drivers for the yet unreleased Fiji GPU and the fact that AMD is still tweaking the BIOS settings for the Radeon Fury based cards which are based on it. Hardwareluxx cited internal source’s but we have no reason to discount their claims. It is actually not uncommon for graphics cards to initially perform below expectations before their launch. That is while their firmware and drivers are brought up to pace to realize the full potential of the silicon. Going by Skynner’s remarks, it seems that AMD is quite confident in its ability to bring Fiji’s performance up to snuff before the official June 16th launch date. How Fast Can Radeon’s Flagship Fury X Actually Be ? It’s a very bold claim to proclaim Fiji as the world’s fastest GPU. And as such we’re going to investigate that claim through the magical tool that is math. A lot of sites have speculated on how Fiji XT would perform in comparison to the GTX Titan X and its younger sibling the GTX 980 Ti. We have to make it plain that it’s extremely difficult to predict how the chip would exactly perform without rigorous testing. This is because HBM represents a wild card in the performance equation for FIji. We can’t yet quantify how much of a performance improvement having this much memory bandwidth would yield. However we can easily attempt to draw a conservative estimate of Fiji’s performance based on the leaked specifications of the chip. We’ll leave out any possible performance improvements that the new memory sub-system could show and also negate any possible architectural improvements because we can’t quantify these two items yet. The estimate will solely be based on the leaked number of stream processors and clock speed. So the actual performance figures are likely to end up higher than our estimation. It’s a very straight forward process. We look at the core count and the clock speed of Fiji and extrapolate its potential performance from those two data points. All structures inside the GPU will scale with the core count, so they’re accounted for. The huge increase in memory bandwidth brought by HBM will definitely have a positive impact on performance. However it will vary based on the workload and the resolution, and thus we’ll have to leave it out. These results are based on TPU’s latest GTX 980 Ti review. #1 We Divide the number of stream processors of Fiji by the number of stream processors of Hawaii, trusting that the performance will scale linearly with each additional SP. Based on the scaling we observed with all other GCN GPUs we found that the performance scales with perfect linearity at 4K. You can go back back to the R9 290 vs 7870 data as a reference point. 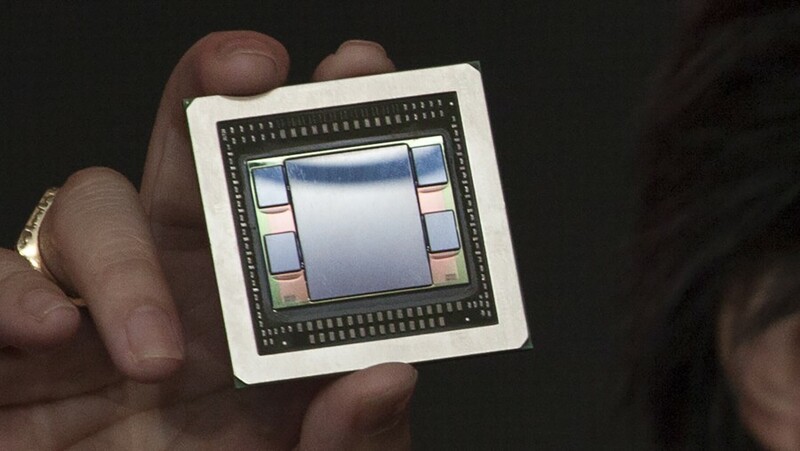 For example the 2560 GCN unit R9 290 was precisely 2.0x faster than the 1280 GCN unit HD 7870. Even though the 290 is clocked slightly below the 7870, so this would account for the architectural improvements that AMD introduced with GCN 1.1 vs GCN 1.0. In this particular exercise around Fiji we do not account for any possible architectural improvements because they’re difficult to quantify. #2 We then multiply the result by Fiji’s clock speed, which is purported to be 1050Mhz vs 1000Mhz for Hawaii. Which makes Fiji’s clock speed 1.05 that of Hawaii. Note : Performance is in percentage points in relation to the GTX 980 Ti. We should point out that two conditions have to be fulfilled for Fiji to match this estimation. #1 It must actually have 4096 Stream processors and #2 A 1050Mhz GPU clock speed. And naturally the important question of whether AMD can manage to bring out optimized drivers for the Fury cards at launch. We’ve heard reports that AMD is still pushing the clock speeds for Fiji, and that the final clock speeds will “definitely” be north of 1Ghz. Even without accounting for the architectural improvements that AMD is introducing with Fiji or the effect of HBM. A Fury X , Fiji XT powered, flagship card by AMD comes out on top. Obviously this is a theoretical exercise and should only be taken as a glimpse into Fiji’s potential performance in theory. In practice the real world results can differ, and we reckon they will if only slightly. Let’s just say that Nvidia wasn’t quick to launch the GTX 980 Ti at $650 ,making its $1000 Titan X flagship redundant, for no reason. Fury X, Fury and the R9 300 series are scheduled to launch on June 16th at E3.